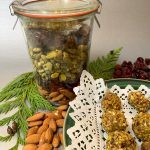 These power balls are pretty in the jar, easy to assemble, and a healthy holiday gift for friends. 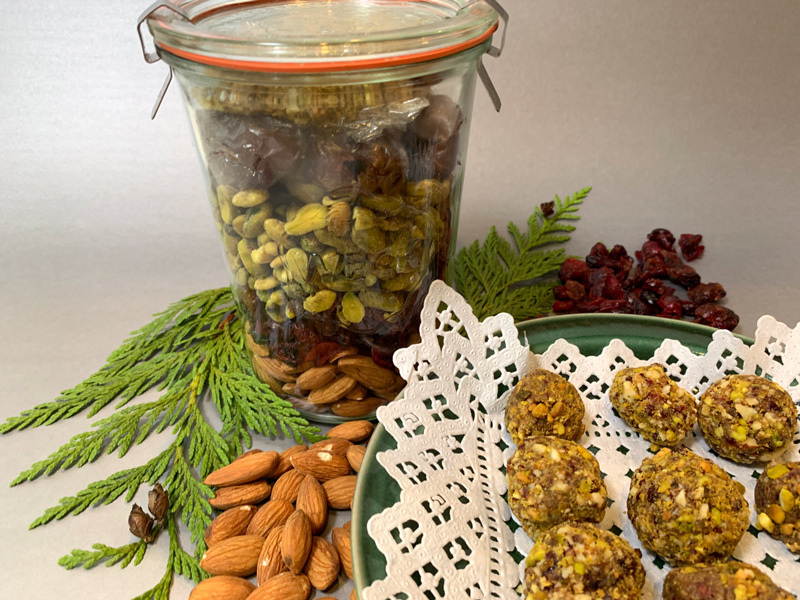 Cranberry pistachio power balls make an easy swap for sugary, nutrient-vacant snacks during the holiday season. 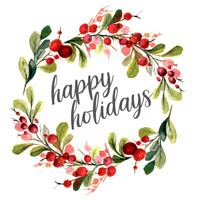 Give a gift with wellness benefits in a jar, or make the balls and serve as a healthy alternative to cookies and candy. Place all ingredients except salted pistachios in the bowl of a food processor and process into a a large sticky ball. Place chopped pistachios in a bowl. Using your hands and a teaspoon scoop balls of dough and roll in finely chopped pistachios. Place on a cookie sheet covered in foil. Balls keep for several weeks in an airtight container. Layer ingredients in a quart Mason jar in this order. Almonds, dried cranberries, pistachios, dates and salt. Ground pistachios should be wrapped separately and place at the top of the jar. Tie ribbon with recipe card to the top of the jar as a gift.